We asked three experts to explain how Massage, Shiatsu and Reiki can help to relieve stress and ease the pressure that can be felt over this busy festive period. Massage therapy manipulates muscles and soft tissues and is a clinically valuable treatment option both to relieve the everyday stress that can contribute to other illnesses and to help cope with anxiety disorders. Therapeutic massage uses classical massage to manipulate soft tissue, stretch and relax muscles, reduce tension and knots and improve circulation. Each treatment is tailored; from a gentle touch for the frail and elderly to a more relaxing and deeper massage to de-stress and loosen up the body. Smiling, chewing, laughing, all cause facial muscles to contract and collect tension. A Japanese Facial massage relaxes those muscles and improves lymphatic circulation; stimulates cellular function and rejuvenation; tightens and tones the skin; increases vascular activity and aids removal of waste products. The use of bamboo in massage is centuries old. Bamboo sticks of varying lengths and diameters are used in a rolling motion over the skin, applying a deeper and more even pressure over specific muscle areas. This breaks down subcutaneous scar tissue, stimulates the lymphatic system, relieves pain, reduces inflammation and swelling, improves tissue elasticity and muscle tone and helps reduce stress-related conditions. Thai foot massage is a traditional and effective massage for the release of tension in the feet and legs. It involves stretching and massage along reflex points to improve circulation, stimulate lymphatic drainage and reduce puffiness. Indian head massage relieves stress, headaches and helps to lift depression by easing tight muscles and improving circulation. 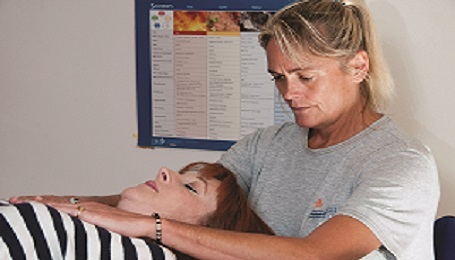 The treatment primarily focuses on the head and neck but can also incorporate the shoulders and upper arms. Do you feel pain in your neck or shoulders? A knot in your stomach? Heartburn? Headaches? Do you feel tired and yet do not sleep well? Then you probably suffer from stress. Shiatsu literally means “Finger Pressure” in Japanese. It comes from an ancient eastern technique that applies Chinese medicine to a complete bodywork. In Japan it is considered a regular medicine and it is now recognized as a non-conventional medicine in the EU. After assessing your needs and checking your pulse and tongue, the Shiatsu practitioner will invite you to lie down on a mat or a massage table, dressed with light and comfortable clothes. They will then apply the “pressure”, mostly with their thumbs but also with the palm of their hands and, in doing so, stimulate the acupuncture points. The goal is to restore a good circulation of energy: what the Chinese call Qi. What seems like a massage is, in fact, a powerful treatment that has an effect on the body as well as the mind and emotions. After the treatment, clients feel very relaxed, refreshed and ready to get back to their active day-to-day life! It is for this reason that more and more people are including Shiatsu in their regular healthcare maintenance routine. A simple and natural way to alleviate the annoying symptom of stress. Vanessa Watson has been a Reiki Master Practitioner since 2006, and is a massage therapist and a Pilates Instructor. As a spiritual healing art of Japanese origin, Reiki is not based on a belief or suggestion and is not affiliated with any particular religion or religious practice. It is a subtle and effective form of energy work using spiritually guided life force energy. The word Rei means “Universal life force” and Ki means “Energy”, and Reiki is the life energy that flows through all living things. Reiki sessions usually last 60 to 90 minutes and the client remains fully clothed on a massage table or in a chair. 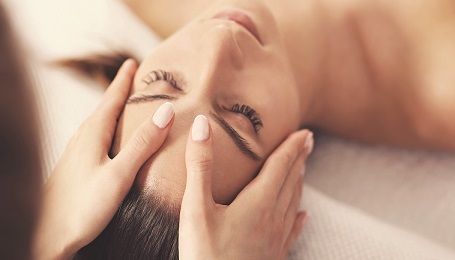 For full benefit, the treatment should be performed by a Reiki Master Practitioner, using specific hand positions to help ease stress and tension, supporting the body to facilitate healing on physical, mental and emotional levels. Life force flows within the physical body through pathways called chakras, meridians and nadis. Reiki heals by flowing through the affected parts of the energy field and charging them with positive energy. Reiki Practitioners understand that everyone has the ability to connect with their own healing energy and use it to strengthen energy in themselves and help others. It is believed a person’s “ki” or energy should be strong and free flowing. When it is, the body and mind is in a positive state of health. When the energy becomes weak or blocked it could lead to symptoms of physical or emotional imbalance.